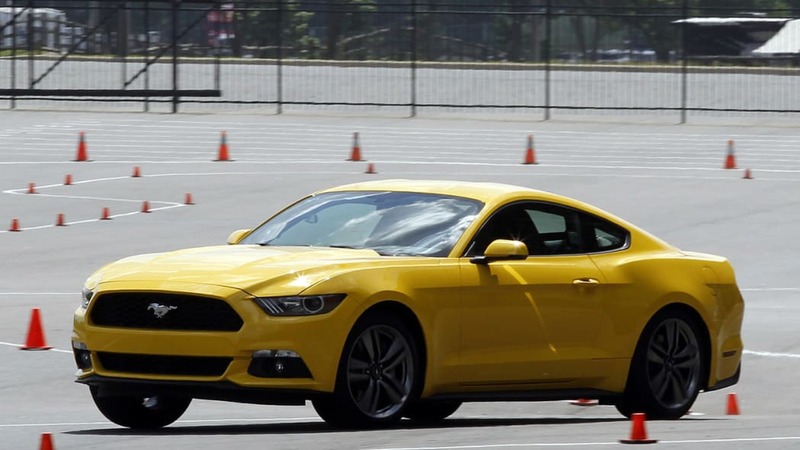 Autoblog rating for the Ford Mustang is not available. Please check back later. 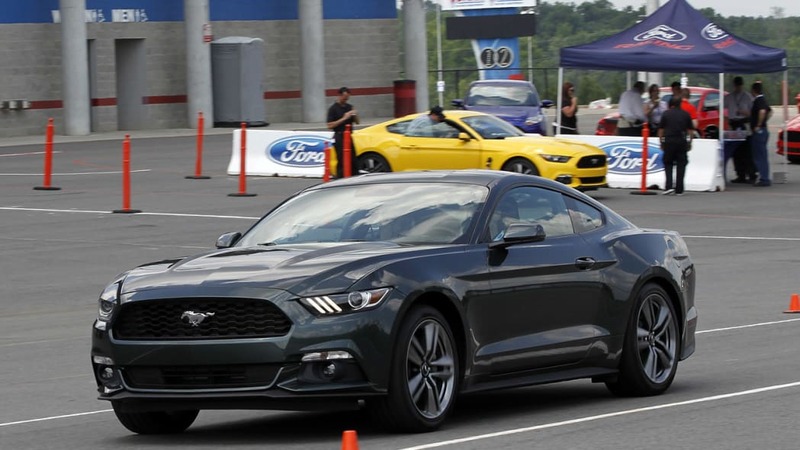 Earlier this week, Ford invited us to Charlotte, NC, to ride in an all-new 2015 Mustang fitted with its turbocharged 2.3-liter EcoBoost four-cylinder. 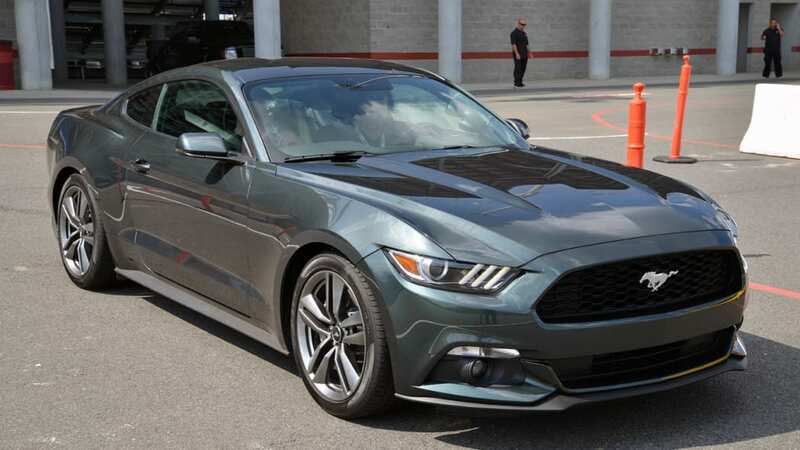 It's the first forced-induction, four-cylinder ponycar for the Blue Oval since the sun set on the 1986 Mustang SVO. We jumped at the opportunity, as only a handful of people have ever been in the passenger seat of this new car, and most automotive media won't get as close as we did until this fall. 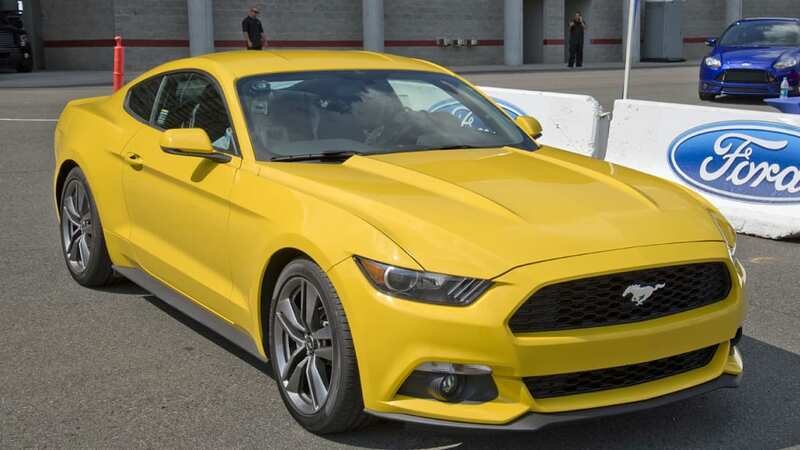 As we revealed in our Deep Dive, Ford will slot this new turbocharged four as premium powerplant between its naturally aspirated 3.7-liter V6 and the naturally aspirated 5.0-liter V8. 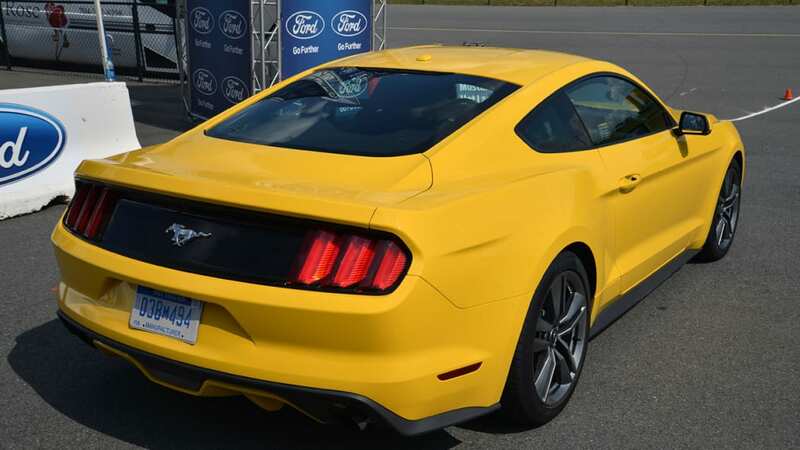 At last mention, the automaker said the direct-injected, all-aluminum engine will develop 305 horsepower and 300 pound-feet of torque, returning the best fuel economy of the three powerplants in the process. History buffs will note that those figures are appreciably stouter than the 200 horses and 240 lb-ft that the '86 SVO realized out of the same displacement, and the latter's figures were hugely impressive at the time. 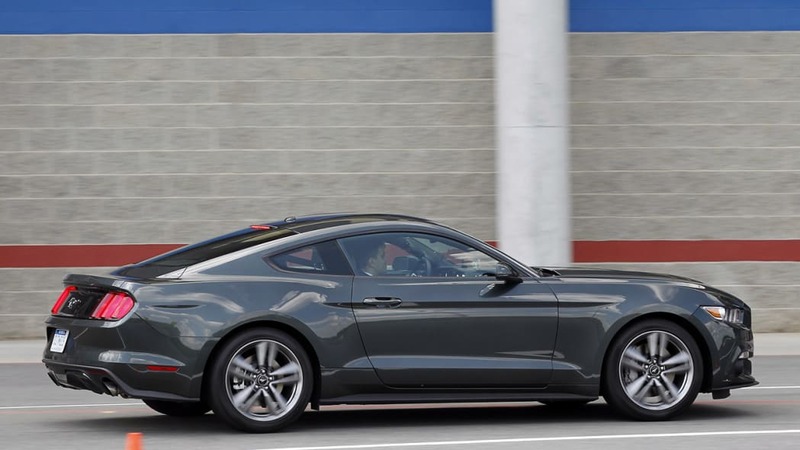 On paper, the new EcoBoost four looks to be a good fit for most owners who want to balance performance with efficiency – we were eager to see how it felt from the passenger seat. 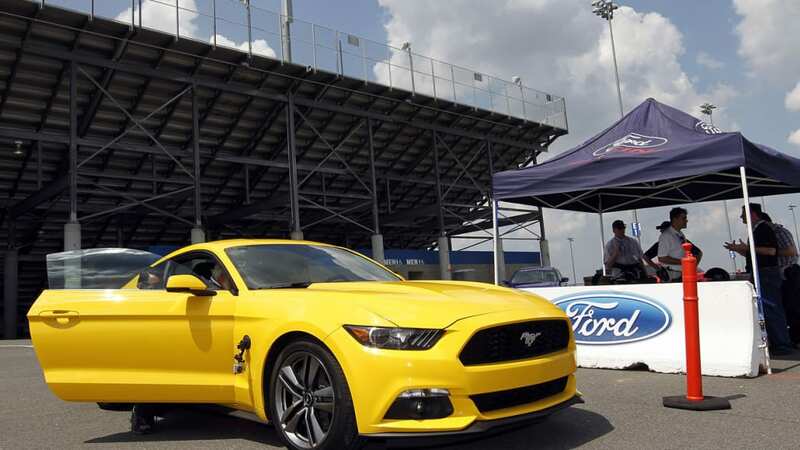 Ford is continuously polishing its final product. 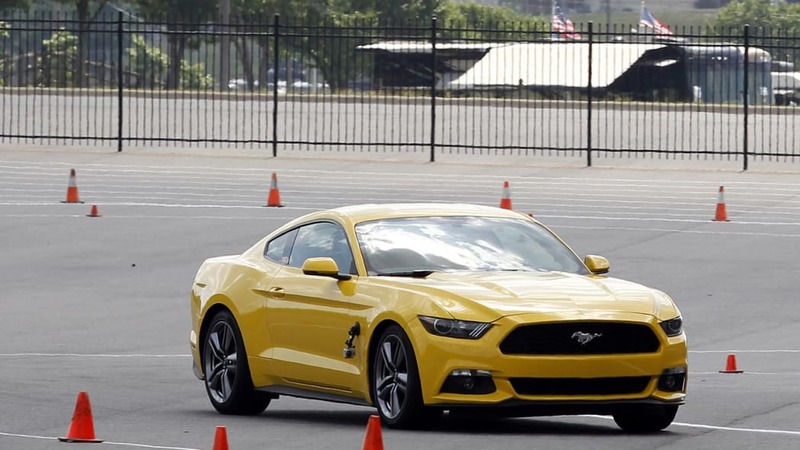 The Mustang we rode in was a prototype, still in need of some final tweaks. Its interior was mostly complete, but many of the surfaces were lacking texture or constructed with the incorrect material – standard prototype fare. 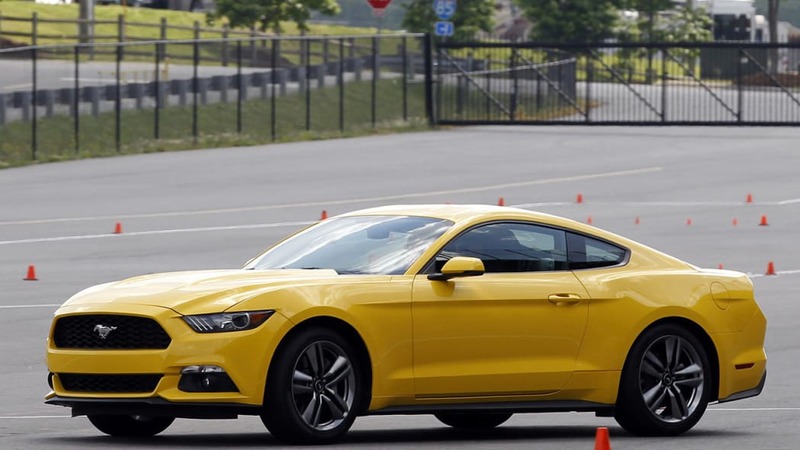 A manual and a traditional automatic transmission will be offered at launch, with both containing six gears. 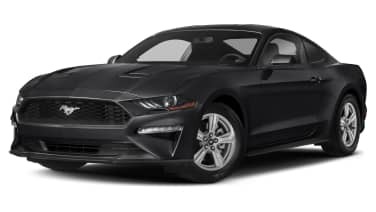 While the standard trans is a carryover, the automatic has been upgraded with paddle shifters and is driver configurable with four different electronic modes (Normal, Sport, Track and Snow/Wet) that alter shift points, traction control and throttle response. Our test car was equipped with the automatic. The steering effort may also be adjusted between three different settings (Comfort, Normal and Sport), thanks to its new electrically assisted rack. 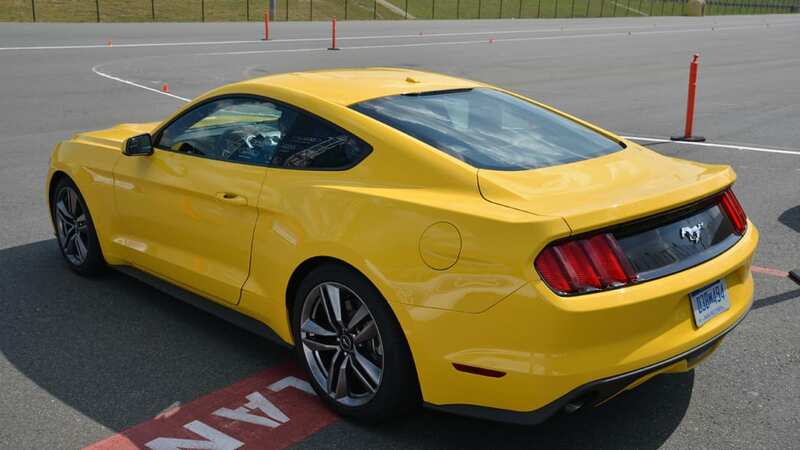 Our car was optioned with a Performance Package that will be a must-have for enthusiasts. 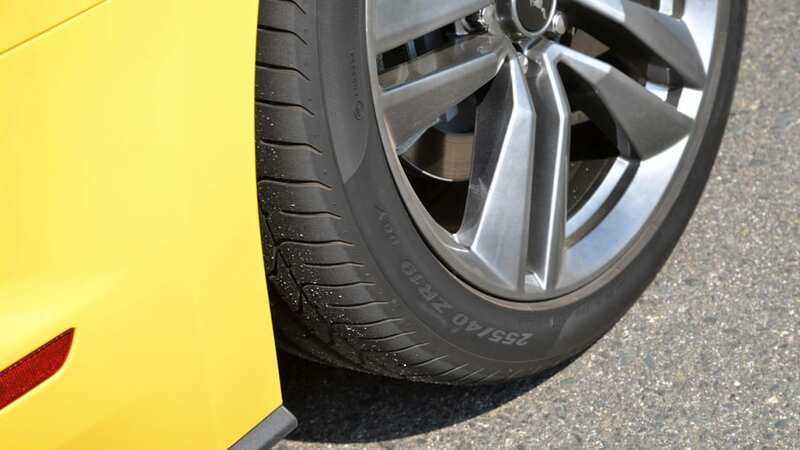 It includes firmer dampers and higher-rate springs (take a closer look and note that the 2015 model already rides a bit lower, with tighter wheel well gaps), chassis bracing, upgraded front bushings and stiffer sway bars (by about five percent). 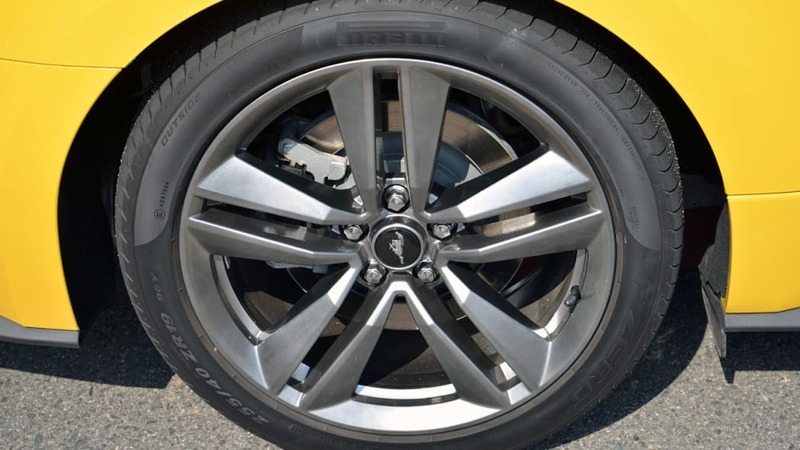 More capable four-piston brake calipers are fitted to the front axle over 13.8-inch ventilated rotors, while the rear brakes retain a single-piston sliding caliper over 13.0-inch ventilated discs. The package does nothing for the engine, but a new 3.55 rear axle ratio (replacing a 3.31) will make it feel a bit quicker. Lastly, a set of 19-inch alloys wrapped in performance-oriented Pirelli PZero rubber (255/40R19 at all four corners) improves grip. Off-the-line acceleration wasn't tire-chirpingly quick, even in the sportiest setting, but once the engine was under full boost – we noted a bit more than 15 psi on the analog dial between the center HVAC vents – it started to pull strongly, wanting to stretch its legs. (Ambient temperatures were in the mid-90s, with equally high humidity, both of which work against a turbocharged powerplant.) 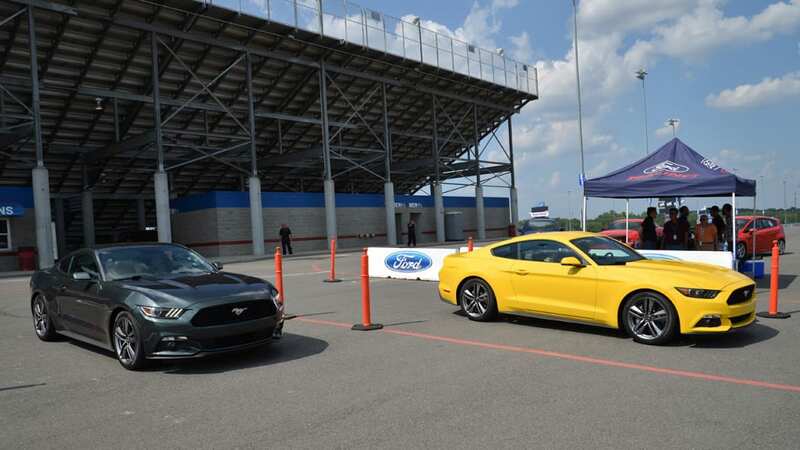 The short autocross course limited the driver to just second gear, with the shift from first to second arriving smoothly. Our pilot demonstrated shifting in both automatic and manual modes, which features nifty rev-matching throttle-blips, and it never felt sharp, harsh or tiringly aggressive. As is nearly always the case with a four-cylinder engine, the new 2.3-liter lacks the ultimate smoothness of a six or eight. At this stage of tune, however, it's no better or worse than the racket emanating from BMW's new four. 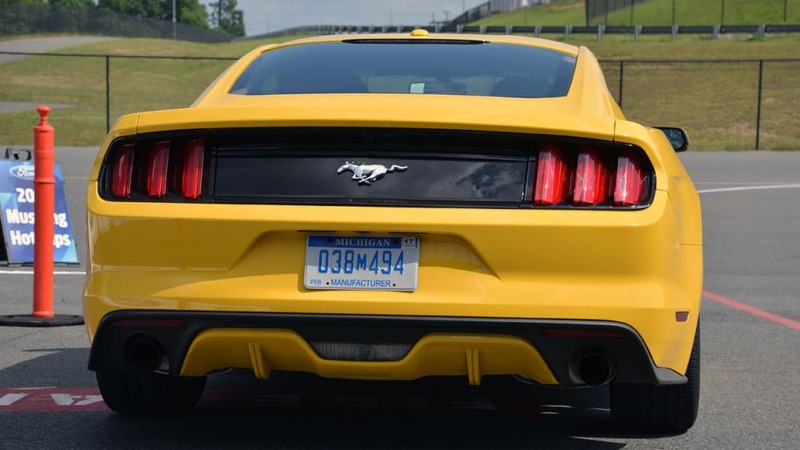 There was a notable intake and exhaust note, both pleasantly tuned, but we couldn't catch any turbo whine in our short jaunt (Ford didn't allow us to pry open the hood and view the intake design). This Mustang's siblings will each have much better lungs, while the four will require some acclimating. 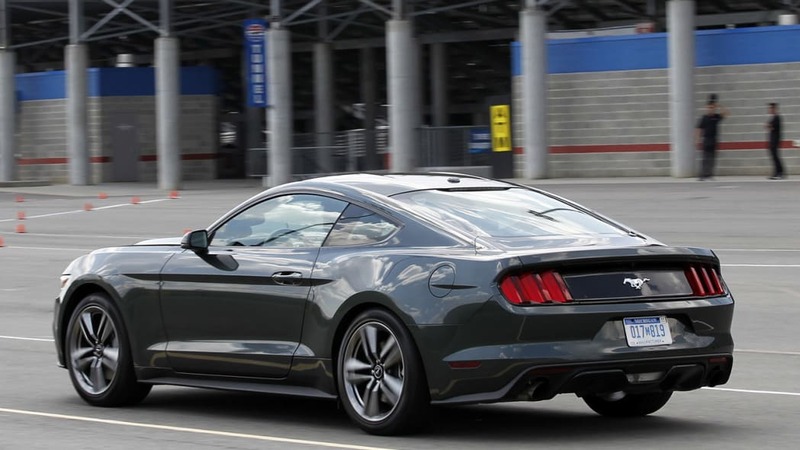 One big advantage a four-cylinder holds over a six- or eight-cylinder is reduced mass. 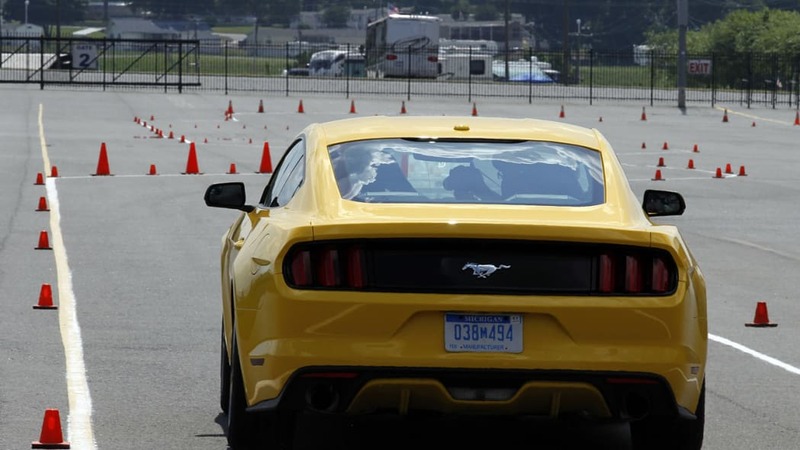 During the parking lot autocross, the new Mustang felt impressively agile and light. There was very little body roll, even during extreme maneuvering (the car in this picture is cornering aggressively). Under heaving braking, the new chassis and sporty underpinnings – independent rear suspension and all – seemed to successfully resist the urge to dive or become unsettled. 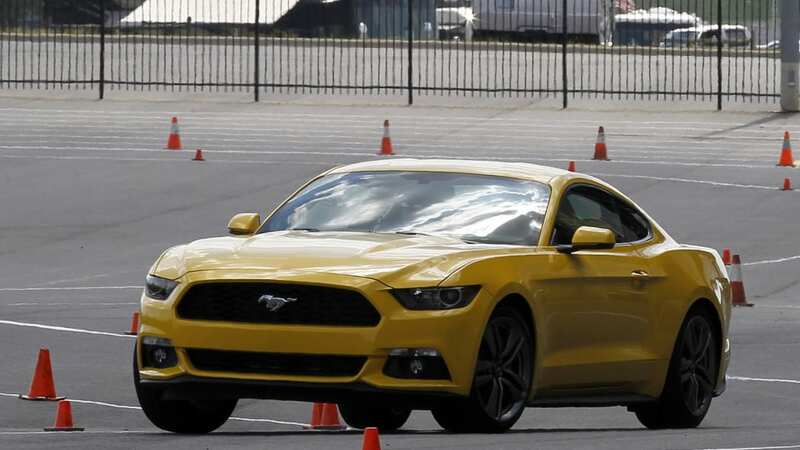 There was a bit of front-end push in the tightest sections, but applying the throttle quickly moved the weight rearward, extinguishing the understeer (the front of the coupe felt lighter than the rear, which would indicate good balance). We'd be willing to bet that the four will be the most nimble in the family. 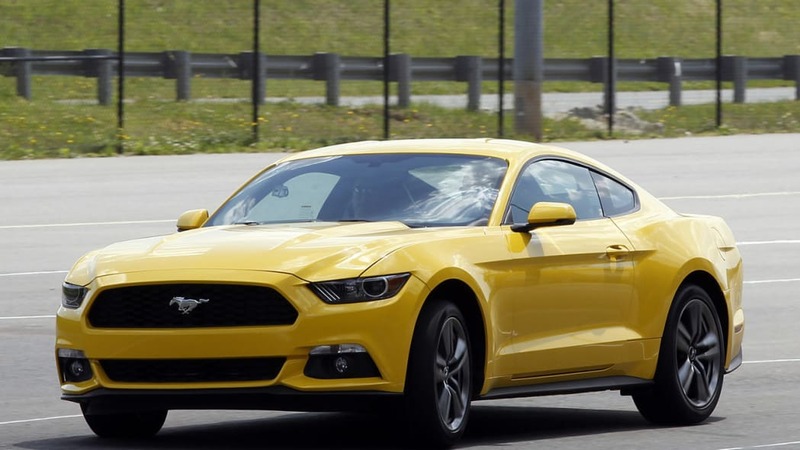 It's likely that Ford sees even more potential in the idea of an EcoBoost Mustang – new spy shots and video revealed earlier today suggests that the company may be working on a model with even higher performance, though its cylinder count remains unclear. In a nutshell, we climbed out of the passenger seat in Charlotte impressed. 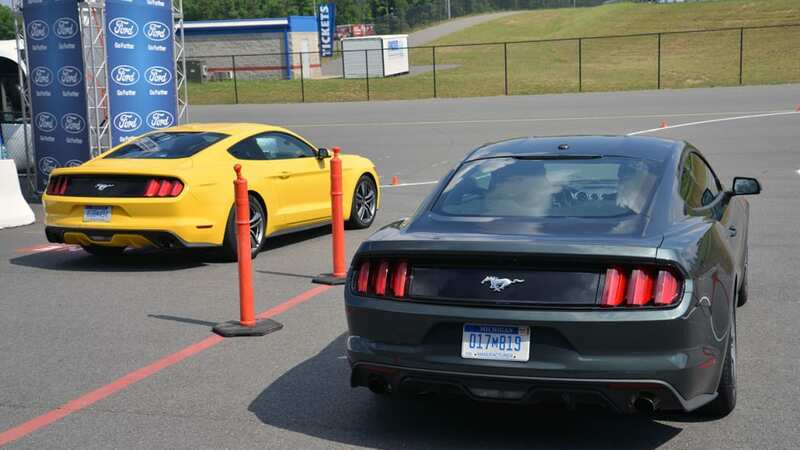 Three quick laps observed from the passenger side are no substitute for a thorough test drive, but we've sat right seat in hundreds of vehicles, with the majority of those being far less competent. 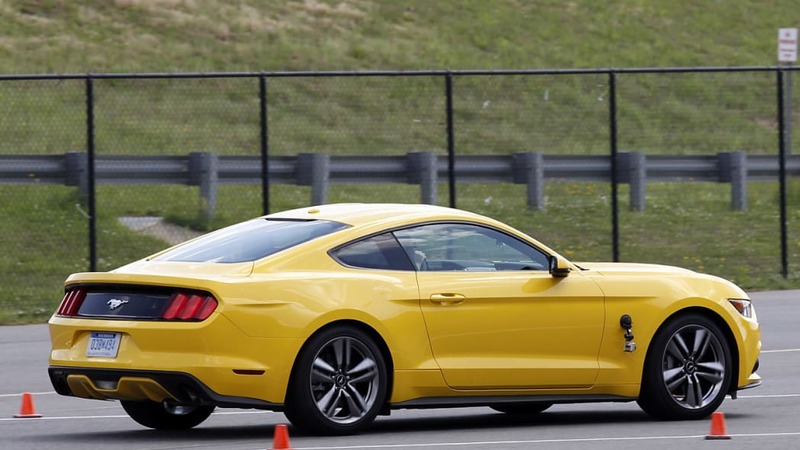 Climbing behind the wheel of the 2015 Ford Mustang for ourselves can't come soon enough.